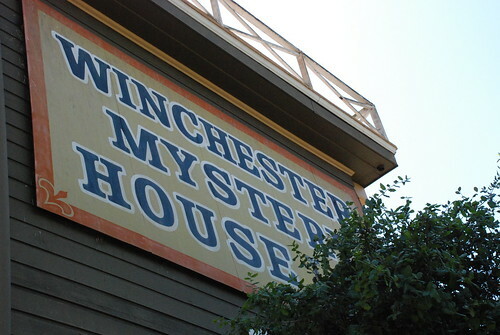 Winchester Mystery House, originally uploaded by krow. as in yours might get finished someday? Had you been to the Mystery Spot as well? No, never made it to the Mystery Spot. Not sure if I've ever even been to Santa Cruz, though I've spent quite a bit of time in other parts of California, and even lived in SoCal for a while. I remember seeing Hearst Castle as a kid, and spending lots of time at the theme parks and San Diego Zoo. When I was older, I spent more time in the museums, parks, and at the beaches. But for whatever reason, the Winchester House has been a favorite, and I've gone back there several times.